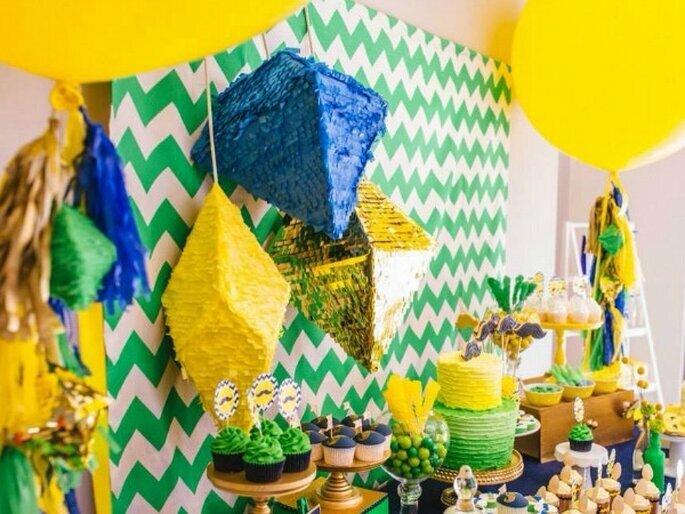 Thanks to the international influence of Mexican culture, the word ‘piñata’ is familiar to many of us, especially in children’s parties. But piñatas are not just kids’ play nowadays. 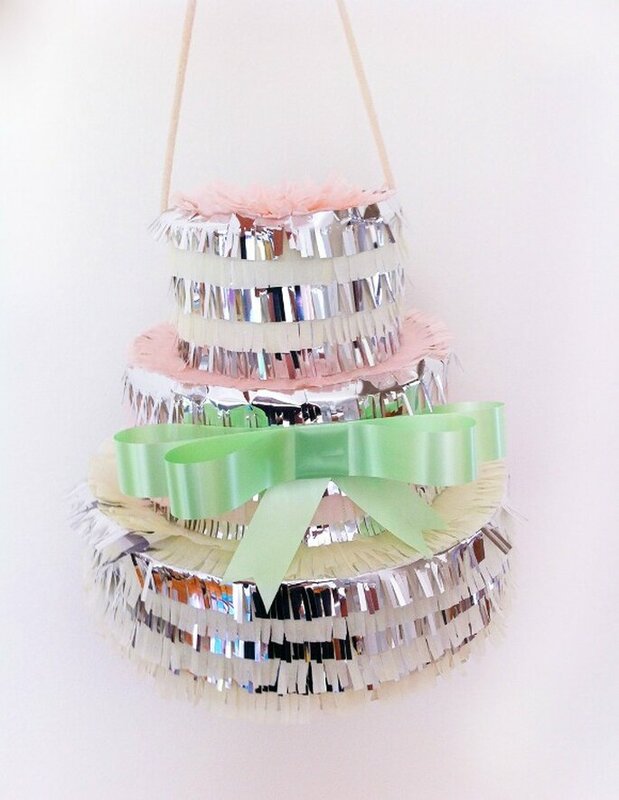 We have some great ideas for you for featuring a piñata in your wedding day decoration. The piñata is originally said to come from China, but the tradition travelled to the Americas via Europe, after reaching the Old Continent with Marco Polo. However, these looks here are anything but traditional. With the basic wire structure and a papier maché covering in place, you can then do what you like with the decoration! 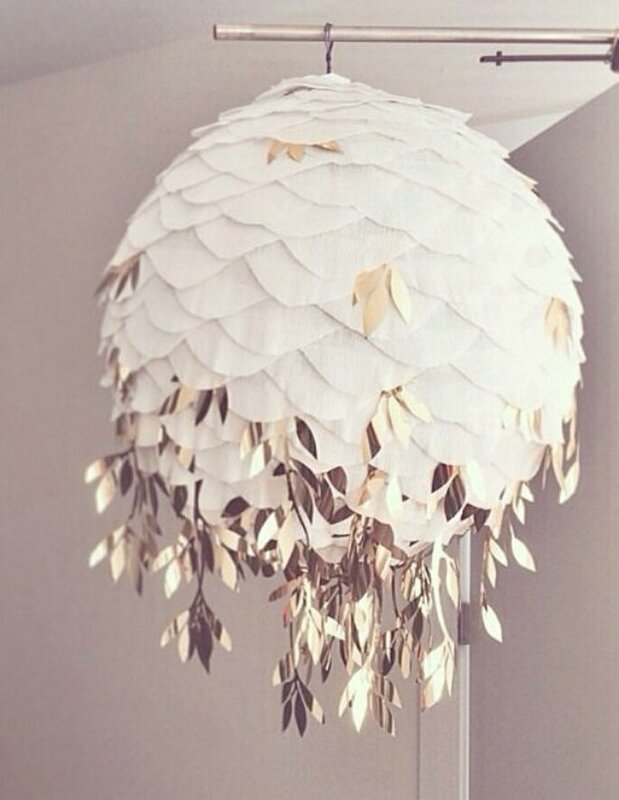 So, for weddings we love whites, metallics and on-trend colors. 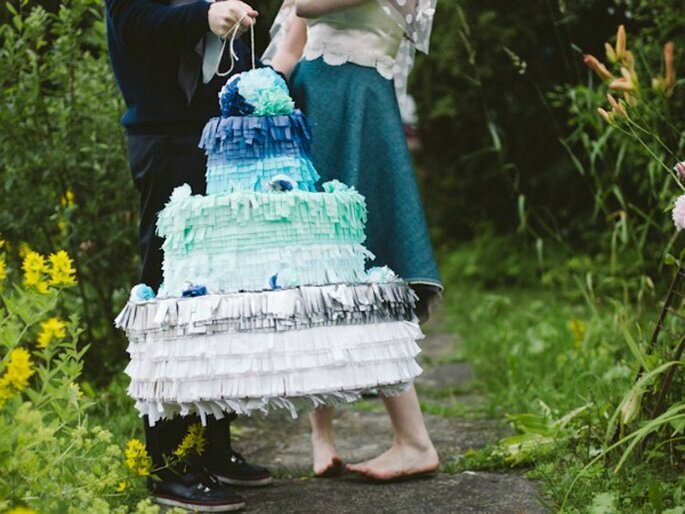 Or what about a wedding-cake-shaped piñata? Fun! 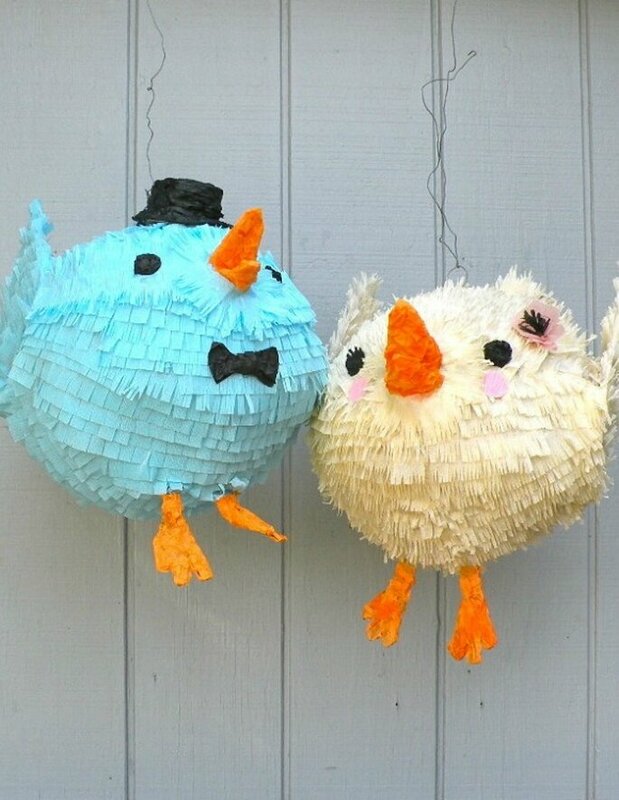 With wedding piñatas, your audience is varied, with children and adults alike. So we suggest you have two – one with sweets and toys for your younger guests and another with gifts more suitable for your adult guests. 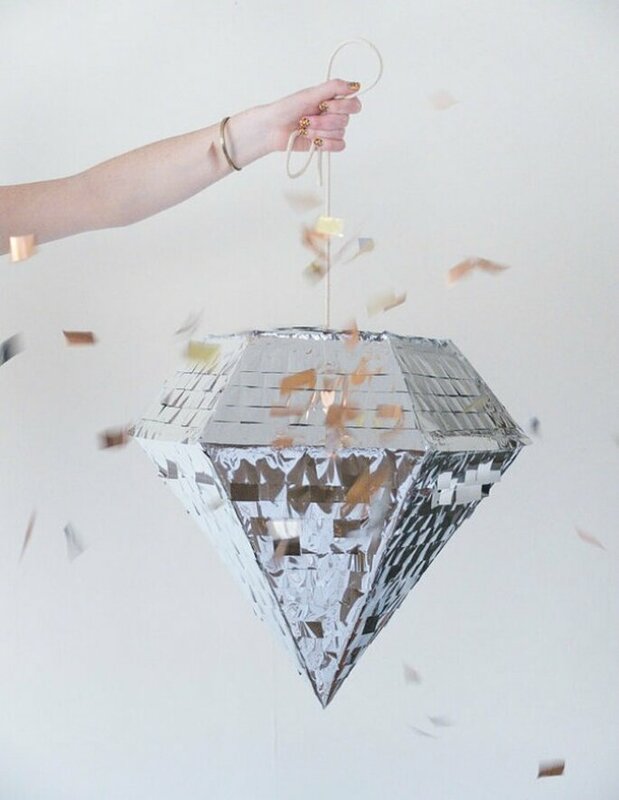 For the adults’ piñata, we like truffles, lottery tickets, masks or even mini bottles of champagne or cava (in plastic, of course, so that they don’t break when they crash to the floor!). Or what about fortune cookies? 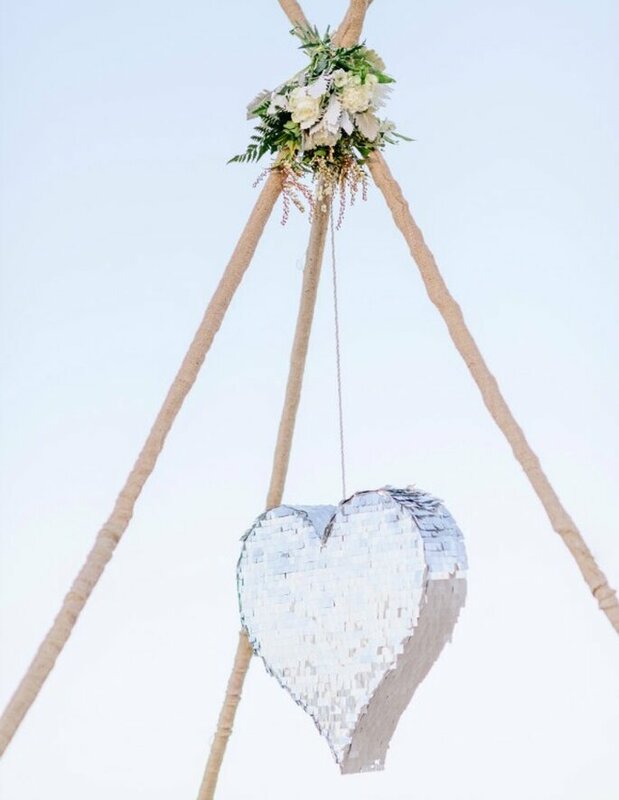 Or we love the idea of putting confetti or rice into the piñata – a nice surprise for your guests, who think you two are the only ones getting covered during the wedding day! And don’t forget! If you’re thinking of a piñata for your wedding, do check with your venue that they’re ok with this. You can always smash it outdoors if indoors is a no-no! 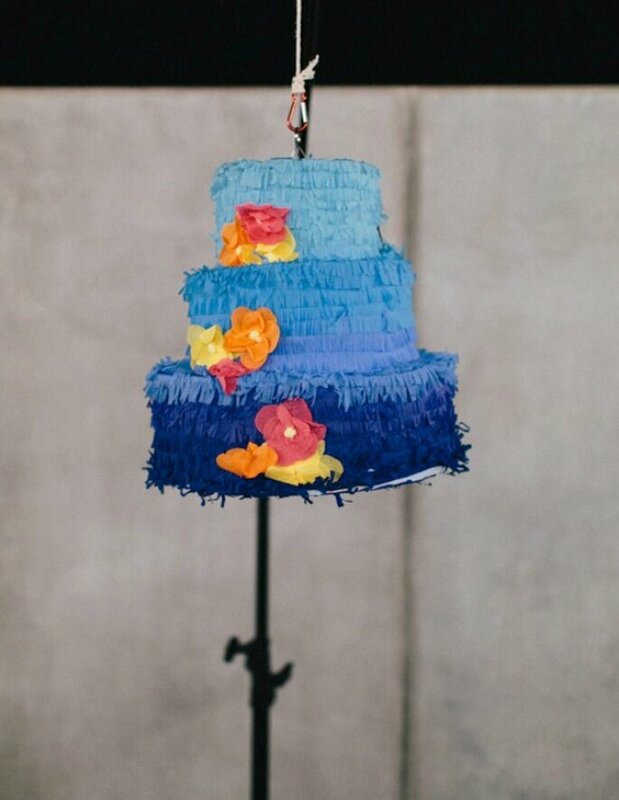 What kind of piñata would you have for your wedding?